I was a marine,” boasts Commander Barbara Kortz. “I’ll be in Washington, D.C., for a week in August. On the Vietnam Wall, there are 8 ladies’ names. Bet you didn’t know that.” Kortz, a 1968 graduate of Castle High School in Newburgh, joined the marines upon high school graduation. “There was no money for school. I was the oldest of 6 kids. I would have never left Evansville if I hadn’t joined the military. My dad was a marine so I decided to do that too.” After serving overseas as a United States Marine, Kortz returned home to the Evansville area where she worked and raised her family. Decades later, the local grandmother’s heart is never far from her fellow sisters who have and are serving in the Armed forces. Her passion is evidenced by her dedication to growing the local chapter of Tri-State Women Veterans. She remains on a quest to simply identify women in the area who have served so that she can recruit them to the group. “Lots of ladies don’t consider themselves real veterans because they weren’t in combat. If you signed that dotted line on that contract, that means that you could have been sent to war anytime. Lots of women have died or been injured while serving. We have ladies in our group who have been to Iraq and Afghanistan, in the heat of it. I volunteered to go to Vietnam, but they never sent me. They only sent me as far as Okinawa,” she proclaims with intensity in her voice. Tri-State Women Veterans’ mission statement reads, in part “…reaching out to meet the unique needs of the brave women who have served in all branches of the Armed forces.” The group is a non-profit 501c organization that is supported by both fundraising and by the generous donations of local business who see the value in their efforts. “Tom Davis gave us a large donation to go towards our conference on behalf of the Elks Club in Henderson,” gushes Kortz. This group of women have servanthood pumping through their veins as they continue serving by contributing to the community. Fundraisers generate money that is then used to support the costs of the women’s conference as well as the monthly meetings. “We also use the funds for any veteran sister who is in need. When a need comes up, in the community or in our group, we try to help,” she said. Most recently, the group has donated a portion of their funds to the YMCA and Toys for Tots. Tri-State Women Veterans is devoted to meeting the unique needs and challenges facing women veterans through providing an opportunity to share experiences, offering resources and creating an environment for friendships to flourish. If you are a woman veteran, or know of someone who is, please contact Commander Barbara Kortz at 812-550-0552 or by emailing her at [email protected] The group meets every 3rd Tuesday, at 6:30pm, at VFW Post 1114 on 110 N. Wabash Avenue of Flags in Evansville. Additional information about joining or donating to this group can also be found by following them on Facebook. For information on next year’s conference, please contact Trudy Buckman or Wendy Freeman of the Evansville Vet Center at 812-473-5993. Cherie Leonhardt of University of Evansville can also be contacted at 812-488-2141 or by emailing her at [email protected] To register for the conference please visit evansville.edu/veteransaffairs. Amanda Waggener is a blogger for the Huffington Post, author of No Grit No Pearl blog site and is a native of Henderson. She and her husband are the parents of two teenagers who they are raising with us much zeal as they can muster. Henderson Family is a FREE magazine thanks to a growing list of organizations & businesses in our community who advertise faithfully. The magazine is distributed throughout various locations in Henderson such as doctor's offices, child care centers, restaurants, hotels, and businesses who advertise with Henderson Family, as well as pre-K through 5th-grade classrooms in the Henderson County School System. Our team of freelance writers keep readers in the know on what's happening around town. 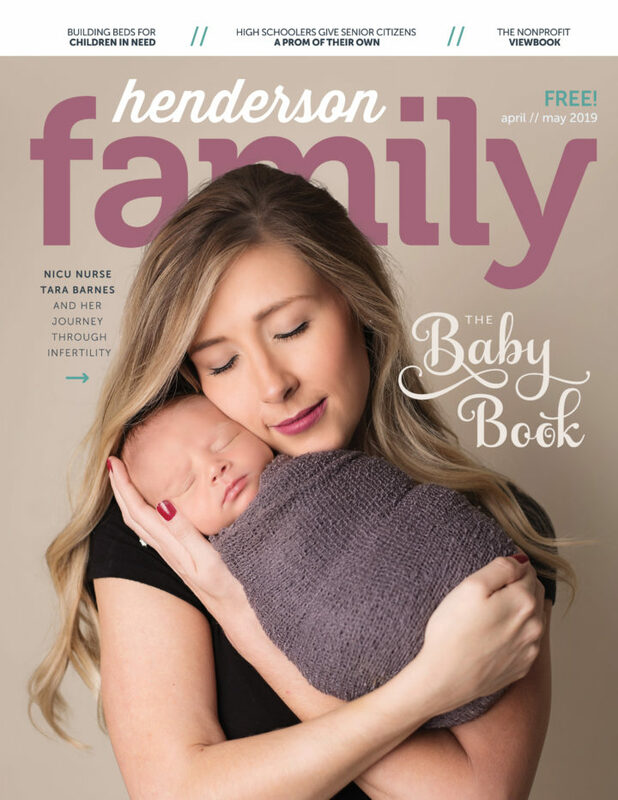 At its heart, Henderson Family is a lifestyle magazine that keeps readers entertained and informed with engaging human interest stories about the people, places, and events in Henderson. We need your favorite photos for Henderson Family Magazine. Throughout the year, we asking you, our readers, to send us your best photos for a chance to be featured in the magazine! Here is where you can do that!